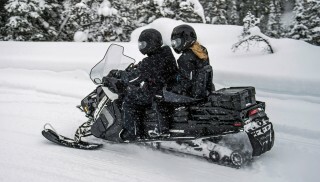 The 2019 Polaris Titan Adventure and Arctic Cat Pantera 7000 XT Limited are versatile snowmobiles that can do it all. Let’s see how they compare by the numbers. Like many of you out there, I like to do lots of different activities in the winter. I love to ride the miles and miles of groomed trails, slip off into uncharted territory for some fun and adventure, blast across icy lakes for both fun and to get to my favorite fishing spots, and there is always some chores that need to be done, too. How do you pick one sled to fit all of that? 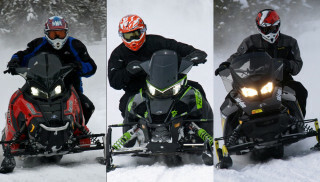 2019 Polaris Titan Adventure and Arctic Cat Pantera 7000 XT Limited are here to help. 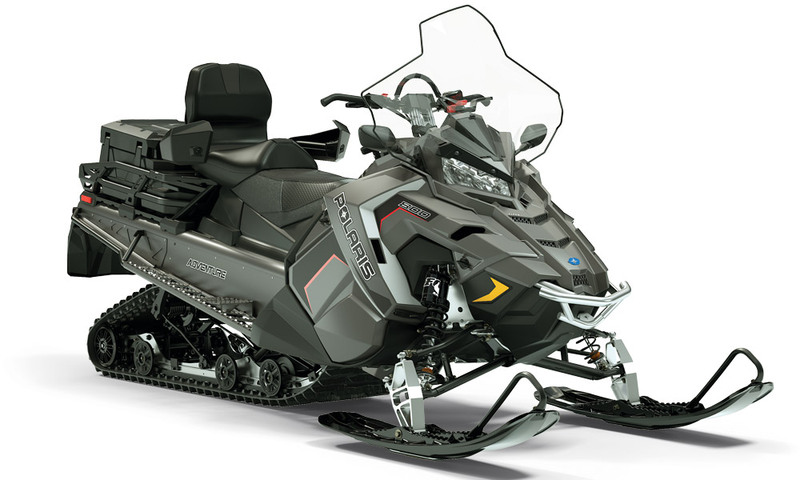 Last year, Polaris unveiled the Titan, a machine that blurred every line from trail to crossover to utility. When the 2019 Polaris Titan Adventure showed up on my doorstep, it seemed perfect. Is there anything else like it on the market? The closest is the Arctic Cat Pantera 7000 XT Limited, a touring-class machine with some really cool features for going adventuring. Let’s see how they stack up for 2019. The Titan is powered by a very un-utility like engine – a 795cc Cleanfire High Output twin-cylinder two-stroke that comes right out of their performance machines. It has an 85mm bore and a 70mm stroke, and feeds out through a single massive exhaust with a three-stage VES and a smart actuator, all designed for amazing power output. It has a P-85 drive with a TEAM BOSS clutching system and the transmission has high, low neutral and reverse, all easily accessed by a hand-shifter located on the right side of the cowling. Power output is very smooth and deceptive in that you don’t really notice just how quick you get going. The Pantera has a completely different power source. It runs a fuel-injected, 1,049cc, liquid-cooled, three-cylinder, four-stroke motor that has a bore of 82mm and a stroke of 62.2mm. The motor runs out through a 3-into-1 stainless-steel exhaust pipe with a stainless-steel muffler that gives the Pantera a very quiet ride. It has dual CVT clutches with a wide-range three speed gearing and a similar hand-shifter for sliding into reverse. Being a four-stroke, the engine is easy to ride and very torquey, with a broad, building power delivery. 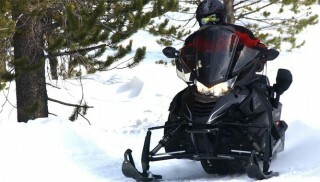 The Pantera comes equipped to handle the deeper snow found off the trail. Up front, it has Proute 10/8 skis that are a full ten-inches wide at their broadest point and taper up to eight-inches. 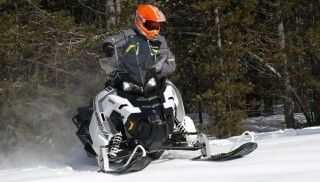 They are designed to float over pristine snow, but retain handling when on groomed trail conditions. Out back there is a 154-inch BearClaw track with 1.375-inch cupped paddle lugs with traction teeth for extra grip on hard-pack conditions. The 2019 Polaris Titan Adventure is also equipped for serious excursions into the undiscovered country. It has PRO-Float front skis with a dual-stepped keel design for improved handling in deep snow. The back of the ski is slightly curved up to handle backing up, especially over obstacles, a major concern when off-trail (at least for me). The PRO-Float skis work very well on-trail, too, something I know from experience. Out back is a 20-inch wide, 155-inch long Cobra track with stiff 1.55-inch lugs that dig into soft snow with ease, but the stiff design of the lugs keeps them from flopping over on hard-pack, keeping the ride smooth and the wear less. The Pantera layout is a mix of elements with a bit more of the trail/touring side of the spectrum. It has a broad, flat heated seat for rider and passenger comfort. The rear seat has wind-deflectors on the handholds with a power outlet for heated visors. Up front there is a 12-volt outlet, a visor plug-in and a 19-inch high windshield. The bars have heated grips and a mountain strap for getting leverage in the deep stuff. There is a digital display with all the information the rider needs to keep moving down the trail. The Titan brings such a wide range of features to the mix that is fits almost all categories. The AXYS chassis has a focus on rider balance, regardless of the activity. The seat is set up to be comfortable, but easily position the rider for stand-up riding. The passenger seat also has protected grips that are heated and a power outlet for visors. The Titan comes with Powdertrac running boards that give a solid foothold and reduce snow build-up. The cargo area uses Polaris’ Lock & Ride accessories and comes with a rack and a large cargo box. The rack is rated for 85lbs. of gear. There is also a towing hitch and the Titan is rated to tow 1,200lbs. The Titan also has a digital interactive display that can be Bluetooth connected to a smart phone to receive text messages and more. 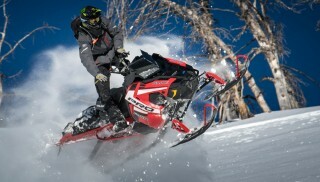 Either machine is a great adventure ride for anyone looking to do everything the great frozen outdoors have to offer. 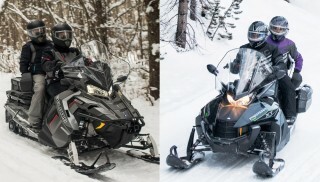 The 2019 Arctic Cat Pantera 7000 XT Limited starts out at $15,499 and comes in black. 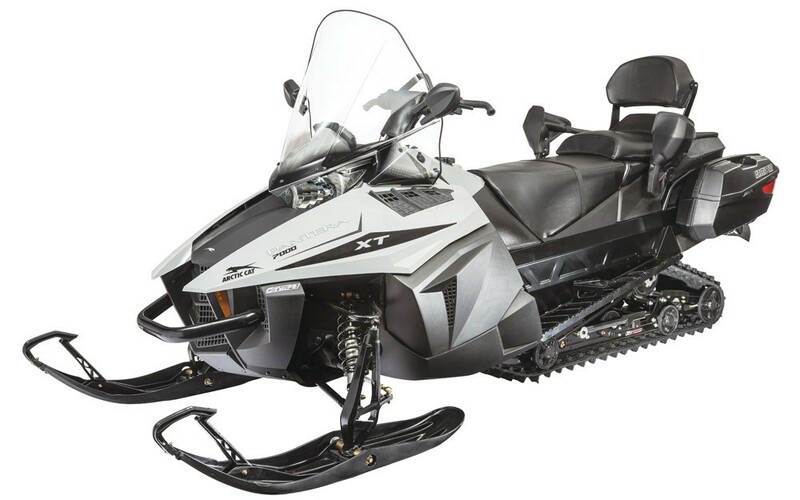 The 2019 Polaris Titan Adventure comes in a cool black/gray color and starts out at an MSRP of $15,199. Head down to your local dealership and tell them you’d like to see one of these machines for yourself.